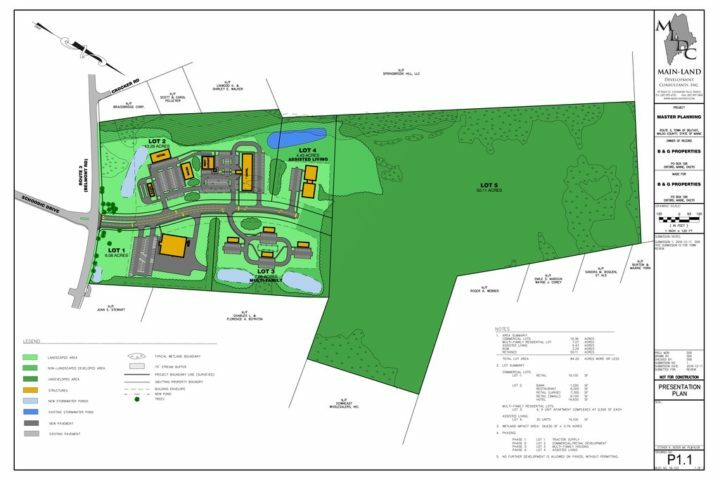 Developers interested in building a Tractor Supply on a large parcel of land off Route 3 in Belfast gave a presentation Tuesday night at a joint City Council and Planning Board meeting on the project at the Troy Howard Middle School. Councilor Mary Mortier, foreground, peruses plans for the development during the presentation. Belfast residents are a step closer to seeing a Tractor Supply built on Route 3, after a long but civil joint City Council and Planning Board meeting and public hearing about the proposal Tuesday night at the Troy Howard Middle School. Ultimately, the board and council decided that the developers of a large parcel of rural land on the western side of the city do not need to prepare a comprehensive economic and community impact assessment before moving forward. They also voted to allow Main-Land Development Consultants Inc., and other developers of the Bahre property to proceed to the next stage of the application process. But even though the meeting seemed tranquil, at least by recent Belfast standards, it was not without its share of skeptics and critics. Most who spoke at the public hearing said that they are not opposed to a Tractor Supply, per se, but rather are confused or concerned about the master development plan that developers of the 84-acre parcel were mandated to submit to the city. Adding a Tractor Supply store is the only specific part of the plan, which also includes vague proposals for a hotel, restaurant, housing, assisted living and smaller retail stores. Even if all of those proposals are built, the master plan still leaves 55 acres of woods and wetlands undeveloped. 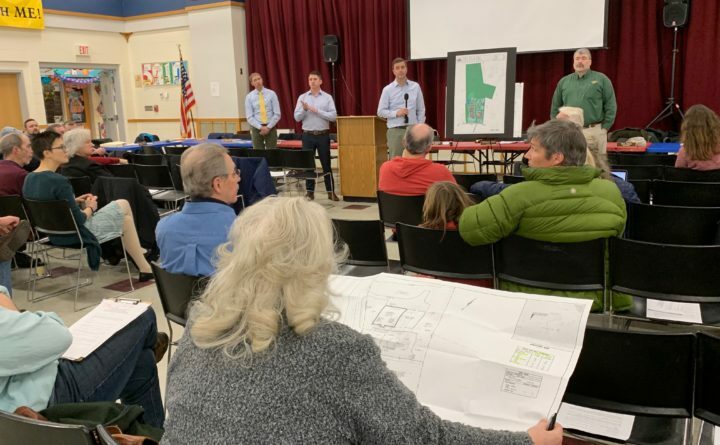 Project neighbors registered their concerns about increases to traffic on an already-busy portion of Route 3, light pollution, stormwater runoff, drainage problems and decreases to wild animal habitat. Others in the audience asked if Tractor Supply would have a negative effect on local businesses, including the city’s five hardware stores. Still, some of the most forceful voices who spoke on Tuesday had questions about the master plan as a whole. Alan Gibson, a local architect, said he hopes that the City Council and Planning Board will take the time to consider what they really want for Belfast. He and others said they feared that urban sprawl could alter the character of the midcoast city. Those concerns were echoed by some of the city’s elected officials, who asked how the master plan sketch fit into the principles of smart growth, which aims to limit urban sprawl. Others wondered what the purpose of the master plan is when there is only one business — Tractor Supply — that is ready to build there. One person with questions was Daisy Beal, an associate member of the Planning Board. Still, submitting it was not optional. In 2007, after years of debate and strife about big box stores in Belfast, the City Council identified the 84-acre property as the only one in the city that could be developed for a retail store larger than 75,000 square feet. As well, the city’s land-use ordinance provides that any project there is subject to contract, or spot, rezoning, meaning that the City Council will make the final decision and not the Planning Board. Before any portion of it can be developed, the applicant has to prepare a master plan to identify how the entire property will grow. Despite that, not everyone on the Planning Board was sold on this particular version of the master plan.